Sports injuries can happen to anyone, not just athletes. When patients in Ocala need treatment for injuries resulting from physical activities, Dr. Chris M. Pell, DC at Chiropractic Centers of Ocala provides safe and effective pain relief and restores normal function using state-of-the-art safe, effective, and tailored methods to patients in Ocala, FL and the surrounding areas. When people hear the term “sports injury” they tend to immediately think of athletes like football or baseball players, straining muscles, straining joints, tearing tendons, and the like in the course of their matches. The truth is, just about anyone engaging in physical activity can suffer these sorts of injuries. When a person lifts a heavy object and strains their back, when they twist wrong during physical labor and throw out their shoulder or end up with a slipped disc in their neck, all of this can be a sports injury. Sports injuries refer to sprains, strains, tears, bone fractures, joint dislocations, or other activities caused during physical activity, which are also common to sports. There is no one true way to treat a given injury. Treatment of an injury depends largely upon the source and cause of the injury and the physical capabilities and needs of the individual patient. This is one of the primary problems with standard medicine: it tends to adopt a “one size fits all” approach to treating injuries. Natural medicine and holistic approaches take a different approach entirely. Chiropractors take a whole body approach to health and healing. While many efforts to treat sports injuries involve spinal adjustments and manipulation, each patient requires a specialized course of treatment tailored to their individual needs in order to ensure complete and effective recovery. Chiropractors don’t just focus on alleviating pain and healing, however; the treatment methods employed for each patient will be designed to help prevent future injuries as well. By using the right forms of activity, exercise, diet, and adjustment, not only will the patient feel better than ever, they will significantly reduce the chances of re-injury later on. 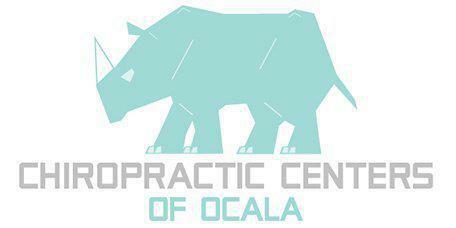 Chiropractic Centers of Ocala provides expert and experienced chiropractic treatment to patients throughout the Ocala, FL region under the guidance of Dr. Chris M. Pell, DC, helping to eliminate injuries and restore a sense of wellness for a range of physical injuries and ailments.